I know I am not the only one that has been filling up their shopping cart on the Sephora website, it's now time for us VIB-ers (and VIB Rouge) to get 15% off. I'll admit, I am always on the Sephora website, checking what's new, adding stuff to my never ending cart and dreaming of all the make up in the world but Sephora doesn't ship to Iceland, so making an order from there can be a hassle but my friend is going to NY in a few days so I'll have it sent to her, I simply cant say no to 15% off! Sadly, I wont be buying all the trillion items in my cart (can I please win the lottery?) but I will be purchasing a few things that I feel I "need" in my collection. The things I know I am getting for sure? The Secret Brightening Powder from Laura Mercier (and the Translucent setting powder, because I want both), it's been on my wish list for ages and everyone seems to love it so I think it's time to bite the bullet. Another item that everyone loves but I don't have is the Shimmering Skin Perfector from Becca. I do own Moonstone in the Pressed version but I have a feeling that the liquid one in Opal will make me extra happy. Other than that I am not really sure what I'll pick up, I guess we'll just have to wait and see! 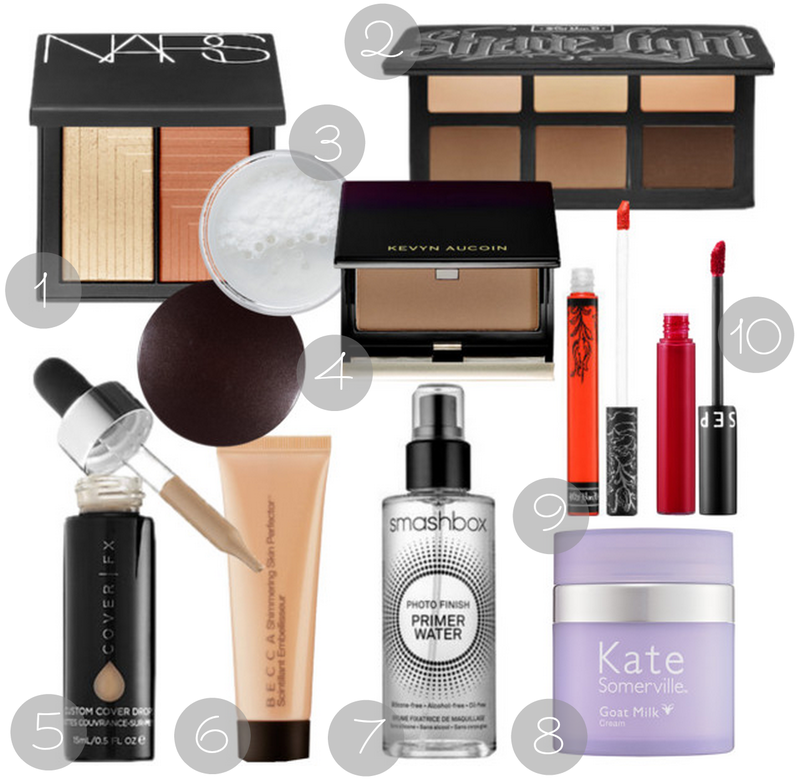 What's on your Sephora wish list? //Ég veit að ég er ekki sú eina sem er stanslaust að perrast á Sephora og fylla innkaupakörfuna mína af girnilegum vörum. VIB afslátturinn er í gangi núna og ætla ég að leyfa mér smávegis splæs þökk sé 15% afsláttarkóðanum. Sephora sendir ekki til Íslands en vinkona mín er á leið til NY eftir nokkra daga svo hún ætlar að redda þessu fyrir mig (annars er Verslaðu í USA snillingur!). Ég mun ekki geta splæst í allt sem er í körfunni minni, enda er hún orðin rosaleg, en ég ætla að versla mér nokkrar vörur sem finnst "vanta" í safnið mitt. Þær vörur sem ég ætla 100% að kaupa? Secret Brightening púðrið frá Laura Mercier (ásamt Translucent Setting púðrinu, því ég þarf bæði) hefur verið á óskalistanum mínum í mörg ár en það er uppáhald allra svo ég held að það sé komin tími til að prófa. Önnur vara sem öllum virðist líka vel við er Shimmering Skin Perfector frá Becca, ég á nú þegar Moonstone í Pressed útgáfunni en mér finnst Opal í blautu formi vera extra fínn. Aðrar vörur en þessar er ég ekki viss með, það mun eitthvað skemmtilegt bætast við. Hvað er á þínum Sephora óskalista?